Since primitive age, human had based on the nature to live, in that historical evolution, the plant have been playing top-notch essential role that support for our life such as foods, clothes, cottages and even palaces is superbly magnificently wooden. Today, human is finding out the pharmacy from the herbs that support for their health and over lasting for their life or make up themselves and or even the popular implements in each house, school and office had been used the handicraft that were made from plant resources. And in addition, the plants are playing extremely importance role in the existing and perishing of the earth. Where is oxygen from? Where is energy to maintain the life cycle on the earth from? The answer for all is plants. In fact, the plant has special function that no other organism on the earth has, that is generating the oxygen from the organics synthesis with the gathered energy from the sunshine, so plant is playing as motive force for all chains such as all organisms and living activities on the earth. And in addition, with the diversity in all aspects, the plant world has been supporting many benefits for particular human life and all organisms on the earth in general. However, beside the natural benefits, human are facing with the globe damaging risk Because of bad effects from the industrializations, urbanizations, wars and natural calamities… our natural resources are more and more run out. In that background, many climate changing and green house effect made the many forests became wildernesses or grass fields and many beauty villages and green fields became died and deserted regions. The natural calamities annual damages millions of deaths and the nation budget has undergone billions USD loss, waste money and time of the United Nations and International Federation of the Red Cross. With the responding from many nations, regions on the world, the series of actions plans and programs have been deploying, among them, the agricultural issues and food security were firstly subjects both in international or national workshops, conferences and meetings. The forest conservation and sustainable development have been discussed in the programs of the deliberating in most nations in the world. In the case of developing country as Vietnam, these problems are caring by our Society Party and Government. The many of the action programs have been planning and deploying that care about the study and application the natural resources with the focus of plants species. However, it has been not any wide and depth program or project of the specific application of Vietnam’s total resources for the life. Special in the background of global integrating and modern informatics technology, it is more and more insufficiently caring of our plant resources by the modern people. Botany Vietnam Group (BVN Group) has been established with the functions of studying and popularizing the specific application of the plant resources of Vietnam for the life. 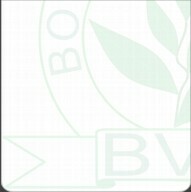 The firstly website of group located address http://www.botanyvn.com with the function of supporting and popularizing the botanical achievements and the scientific and industrial applications that support for the productive and living of personal Vietnamese population and human in general. With that prospect, we hope received the caring and cooperation from scientific specialists, the reader and the colleagues. Besides that, The BVN has been supported by other botanical articles/photo/data authors, we have to show the particularly sources, in that, the copyright of them was show as in a name of photo / articles. with any trouble / claim on copyright of photo / article response from the author(s), reader(s), we - BVN committee that correct it base on the comment even remove it on our web.